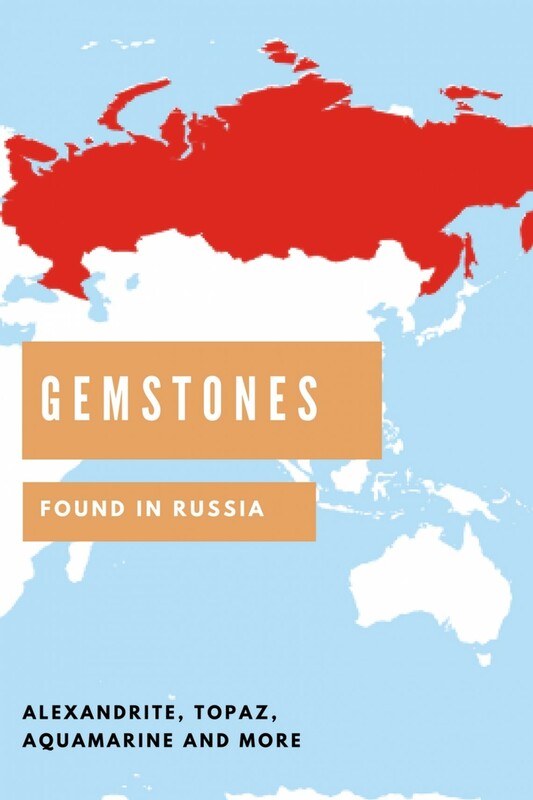 Russia is a vast country with immeasurable mineral and gemstone reserves. Russia has become s significant diamond miner and manufacturer. In fact, Russia is the next leading diamond producing country all over the world after Botswana. Russia is having around 22% for the world’s diamond production. Russia has vast areas of rich mineral deposits with the most famous area being the Ural mountains in Siberia. 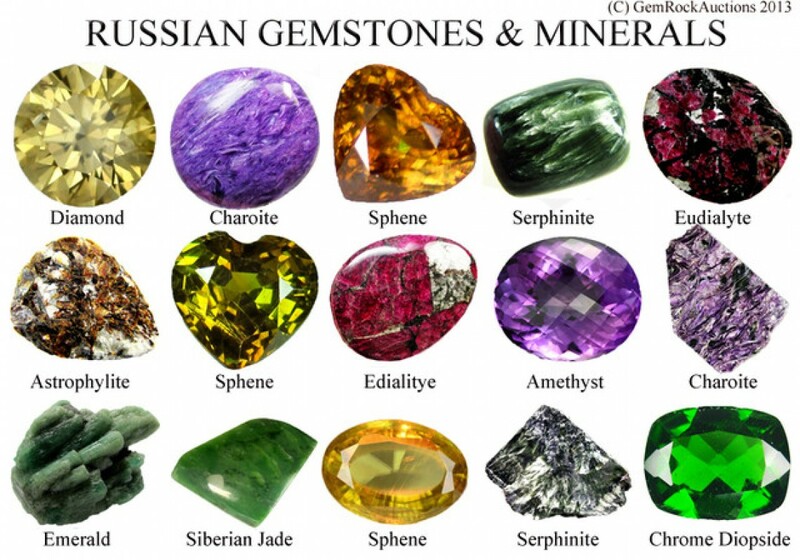 Russian gemstones include Diamonds, Jade,Alexanderite, Charolite, Agate, Amber, Serphinite, Rhodonite, Diopside, Amethyst, Aquamarine, Topaz, Citrine, Emerald, Garnet,Opal, Malachite and many areas are yet to be discovered. Moreover, mining of diamond in Russia is conceded out mostly in the Sakha (Republic of Northeastern Russia), next to the Arctic Circle. It has also some significant deposits of several colored stones. The country is well-known for exceptional and unusual stones such as Demantoid Garnet and Alexandrite. Russian Emeralds are also famous for their exceptional shade and crystal lucidity. Emerald is usually mined near Ekaterinburg near Russia’s Ural Mountains. Anybody thinking of Russian stones is more than probably thinking of these delightfully ornamented Faberge Eggs that are so precious and hunted year after year. Moreover, Russia is also believed to be the significant source of sapphire, ruby, and emeralds, which finds their way to the world market. It is also ground-breaking work by the Russian Academy of Sciences to create man-made crystals for laser weapons and instruments that are creating in this industry. There are so several stones that arrive in different colors and distinctions that it would be unbreakable not to get one to go with your exact taste. Learning quite a bit about every stone and its basic aspects will assist you in your exploration for the perfect gemstone. Alexandrite is a variety of chrysoberyl and it was named after Czar Alexander II. 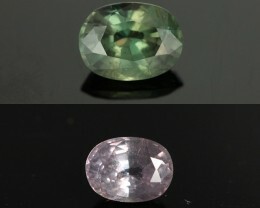 It is a colored transform gemstone that is green in daytime and in red color during non-natural light. 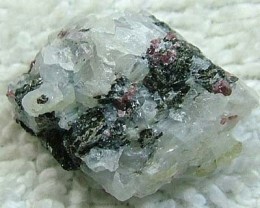 It is usually mined in Russia, USA, Brazil, Burma, and Tasmania. It is also relatively unusual and is just ever used for the design of modern jewelry. What is the most eminent about this gemstone is that it has the capability to modify color. This exclusive attributes makes the Alexandrite one of the most precious stones of all time. It is also considered as a classy stone. 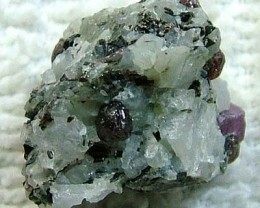 Based on Moh’s’’ Scale of Hardness, Alexandrite range from 8.5. Amethyst is the most extremely treasured and identifiable stone from the quartz family. Its reasonable cost makes it a perennially popular option. 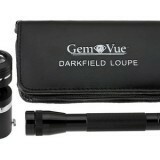 It is available in different colors from purple to light red-violet. Its main sources include Madagascar, Brazil Russia, India, Canada, Zambia, and Uruguay. 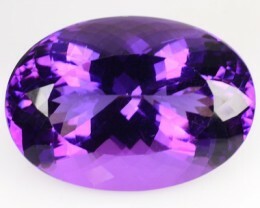 Amethyst ranges from 7 based on Moh’s Scale of Hardness. Aquamarine is a component of the beryl family and varies in color from an almost neutral light blue to blue-green. The most valuable color is a deep-blue aqua tone. It ranges from 7.5-8 based on the Moh’s scale of solidity and obtained it from Latin words, which means sea and water. 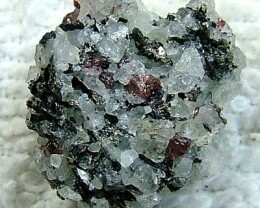 They are usually mined in Russia, Zambia, Tanzania, Kenya, Nigeria, and Sri Lanka. Topaz arrives in an extensive variety of colors such as peach, pink, red, orange, brown, gold, yellow, that is usually found in Sri Lanka, Russia, Brazil, and Pakistan. 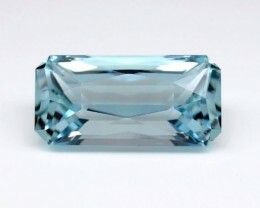 It is naturally light to medium blue topaz, which is improved by irradiation to create a more strong blue color. It is considered also as solid stone ranging from 8 based on the Moh’s scale of resistance. In fact, it can be divided with a particular blow and must be protected from solid knocks. Citrine is a quartz gemstone. While its term refers to a lemon yellow tone, it can be found in a variety of yellows from light to shady yellow as well as, golden brown. Based on the Moh’s Scale of rigidity, it is approximately measured 7. Significant sources include USA Brazil, Argentina, Spain, Scotland, Namibia, and Russia. Citrines are attractive stones, which, are trying to create a retort in the world of jewelry. 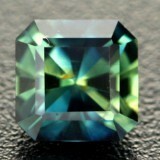 Emerald is the most valuable element of the beryl family. They have a powerful, loaded and bright green color. The term Emerald is usually originated from the French term “esmeraude” and the Greek word “smaragdos” which literally means “green stone”. In emeralds, inclusions are accepted since they are definitely a precious stone. In fact, a high quality emerald has the prospective to be valuable compare with a diamond. It has an incomparable shine and its significant sources include Russia, Zimbabwe, USA, South Africa, Afghanistan, Pakistan, Australia, India, Tanzania, Madagascar, Nigeria, and Malawi. Based on Moh’s scale of resistance, emerald approximately ranges from 7.5-8. The affluent glow of the emerald makes this stone a unique one; though, looking for an emerald with a high-quality is quite difficult because inclusions can an affect to its color. In fact, it can be more precious than an almost perfect emerald because its color has the probability to be deeper than the light color of an unblemished emerald. Garnets are typically approach in an unfathomable red variant that is lovely to the eye. 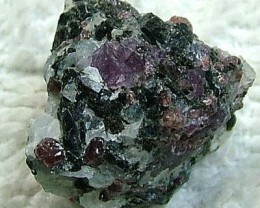 Garnets typically refer to more than ten unusual stones that have a comparable chemical structure. Though red is the tone most frequently that garnets come in, there are also another variations of orange, green, yellow, and other earthy colors. Cacholong Opal is an exclusive stone with an attractive play-of-color flaunt. Opal its chemically same as quartz and some refer to Russian opal as Quartz Cacholong Opals.It displays a complete range of colors from the color wheel place aligned with a bright or shady setting. Based on Moh’s scale, opal has the hardness of 5.5-6.5. 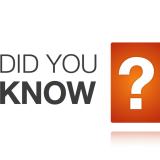 Some significant sources include Russia, Mexico, Australia, Nevada, Guatemala, and Honduras. In fact, 95% of opals are originated from Australia. The collection of opals compromises a quantity of special stones, which hold one attribute; they all stand out and shine in a ceaselessly varying play of colors. While there are several different classes of opal, three of the most famous are Fire, White, and Black opals. In addition to, black opal is the rarest, most exclusive and measured by several gem collectors as the most stunning pieces. Since opals are not too solid, they require a shielding setting and must be worn as frequently as feasible because moisture and air to make the stone last. Topaz is solid and beautiful stone that has been recognized and treasured both in earliest and contemporary period. 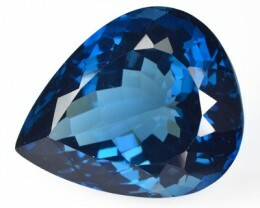 Topaz physically comes in red, pink, brown, yellow, and neutral varieties, but it is also accessible in contemporary times in numerous color of blue by means of treatment with irradiation. The well-known history of jewellery in Russia has started to stretch back and begun from the establishment of the Vladimir-Suzdal Princedom and the Kievan Russia during the ninth and twelfth century. Most of the Russian cities are St. Petersburg, Ustyug, Novgorod, and many more. In Russia, silver and gold settings were extensively used for gemstones, and expensive stones were measured to be representation of the highest power. In fact, a tsar’s tiara, scepter, and orb were splendidly inlaid with stones. Majestic pantries were persistently refilled with semi-precious gemstones, which were brought from all over the nation. During 17th century, semi-precious gemstones begun to take away from Russia and then, minerals ofmalachitewere found in the Ural Mountains, while Cornelian, Agate, and Jasper were took out from Siberia. During the sovereignty ofPeter Ithe Ural, gemstones obtained all-inclusive fame. Milling and lapidary factories were produced in Russia. The era of Catherine II created a mark as a peak of success for Russian jeweler art. Manufacturing of jeweler factories of that period was illustrated with a creative combination of latest forms and at the same time, conventional Russian estheticism. 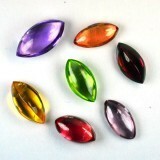 In fact, the development of Russian jewelry period has a favorable grouping of gemstone palette. Then, during the 17th century, most of the products generated by the Russian jeweler factories were remarkable, especially the rubies and sapphires in one piece of jewelry. In addition to, they are often combined with massive enamels, but during the 18th century, dazzling and faceted diamonds became one of the most preferred stones of the nobles. In the middle of the 19th century, other valuable gemstones such as topaz, emeralds, diamonds and rubies were reduced from Russia. Also, the ability of creating jewelries reached out a high-level at those times. Semi-precious gemstones were not only utilized for jewelry, but also for different objects such as table-tops, candle sticks, vases, figurines, which were in high-demand, especially for all valued clients. On that time also, Charles Faberge’s jewelry house was established along the 2nd half of 19th centuries. It rapidly won fame and begun executing orders from the royal family. Some of these jewels are Jasper, Nephrite, Rock Crystal, Lazurite, and other different classes of quartz were being used here. This famous jewelry house supplied various types of jewelries to almost all royal houses and noble people from Asia, Africa, and Europe. 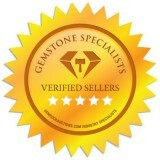 Their products are truly appreciated by gem collectors and experts of jewelry masterpieces and their excellent jewelry usually perceived to all jewelry art. On the Orthodox ritual, the patron of jewelers and smith are Damian and Sts. Cosmas. A festival in their tribute is also referred as “Kuzminki”, which is remembered twice a year on 14th of November and July in Gregorian calendar. There are also local holidays for the tribute of this festival. For millions of years, individualshave been astonished and captivated by highlighted stones. 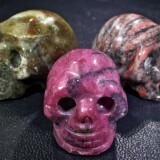 The unusual colors of stones characterize different features of the world for our predecessors. In fact, blue sapphires signified the heaven and sky, as well, while red rubies represent for love and fire. 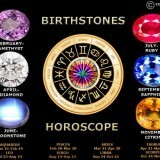 Gemstones were used mostly as talismans as well as, useful to forecast the future and shield the wearer. Based on the Chinese zodiac, it was usually represented by animals and precious stones; meanwhile Hindu myth controlled powers with different stones and set them into different zodiac signs. 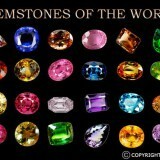 The bible also stated that these stones were named under the new and old testaments. From Victorian times, there has been a compromised language of stones where different stones provide special emotions like “true love”, “faithfulness”, “eternal affection”, and many more. Nowadays, most individuals identify their birthstone and we must aware that there are different types of gemstones, which depends in different aspects of our lives such as state of the nation, anniversaries, and many more. These stones are mostly used for their exquisiteness as well as, for their personal satisfaction.